In ancient times there were three harvest seasons – spring, summer and fall. One of the major crops in the spring was barley. In early summer it was wheat and in the fall it was many other field crops. It is true that other crops are harvested during each of these times, mainly because of the advances made in agriculture. It is interesting to note that these three times in a year coincide with the three times we are commanded to gather together to celebrate some of Yahweh’s annual Holy Days. During these three times there are five of the seven annual feasts we are commanded to keep. The two that are not included, but still required to keep, are the Feast of Trumpets and the Day of Atonement. Each of Yahweh’s Holy Days point directly or indirectly to our Savior, Yahshua our Messiah. The word memorial comes from the Hebrew (Strong’s #OT:2146) zikrown (zik-rone’); from OT:2142; a memento (or memorable thing, day or writing); and is translated memorial or record in the King James Version of the Bible. The root word of zikrown is Strong’s #2142, zakar (zawkar’). Zakar has numerous translations in the KJV, among them being remember or to make to be remembered. Does Christianity today remember the day of Yahshua’s death, once a year? No, certainly not. Instead, they celebrate the day of His birth as Christmas and the day of His resurrection as Easter. Each of these celebrated days has pagan origins. Celebrating these also counters Eccl. 7:1, which tells us which day is more important. That was for [Yahweh] a night of vigil to bring them out of the land of Egypt; that same night is [Yahweh’s], one of vigil for all the children of Israel throughout the ages. The Greek word translated “watch” is Strong’s #1453, gregoreo, and means to be vigilant and wide awake; to be alert: be or stay awake, to keep awake, be alert, i.e. watch. Observe the month of Abib, and keep the passover unto Yahwehthy Elohim: for in the month of Abib Yahweh thy Elohim brought thee forth out of Egypt by night, Deut. 16:1.
what they asked for; so they plundered the Egyptians, Ex.12:31-36 NIV. After the Israelites spent the entire night portion of Passover in their houses they did as they were instructed to do by Moses. The events of the day portion of Passover are relatively easy to reconstruct. On the morning of the 14th the remains of the sacrificial lamb were taken out, the people began gathering their family, flocks, and herds and assembled at Rameses, some 30 miles from Goshen (Num. 33:3). They also proceeded to spoil the Egyptians as Ex. 12:35 says. We learn that the Israelites spent 430 years in Egypt before they left to return to the Promised Land. How did they know where to go? In the parting of the waters of the Red Sea we find that Israel became completely free of Egyptian influence because Yahweh caused all of the Egyptians who followed Israel to die. Yahshua kept the Passover at the right time and thus fulfilled all righteousness up to the time of His death. His disciples did not have any difficulty keeping Passover at the right time (Luke 22:8-14). death: tarry ye here, and watch with Me…And when He came unto the disciples, and found them asleep, and said unto Peter, What, could you not watch with Me one hour? Watch and pray, that you enter not into temptation: the spirit indeed [is] willing, but the flesh is weak, Matt. 26:30, 38, 40-41. Shortly, Yahshua was taken prisoner at night and then impaled the following day before the Jews had celebrated their late Passover. The first day and the last day of the seven-day Feast of Unleavened Bread are two of Yahweh’s seven annual Holy Days. During this period of time no leaven is to be found within the house nor is to be eaten. Any product containing leaven is also not to be found within the house nor eaten. Actually, these verses also state that one is to eat unleavened bread at this time. To properly keep the Feast of Unleavened Bread we must do so both physically and spiritually. Physically, we are to remove all leaven products from our homes. Spiritually, we are to remove any and all things that may cause us to be led astray. Purge out therefore the old leaven, that ye may be a new lump, as ye are unleavened. 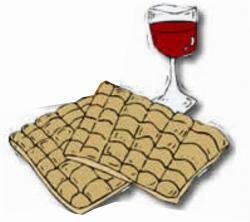 For even Messiah our Passover is sacrificed for us: Therefore let us keep the feast, not with old leaven, neither with the leaven of malice and wickedness; but with the unleavened bread of sincerity and truth, 1 Cor. 5:7-8. The word leaveneth is the translation of the Greek zumoo meaning to cause to ferment. Leaven breaks down flour, causing decay in the dough. On the other side, there are two verses, Lev. 7:13 and Lev. 23:17, which shows that the showbread and a praise offering to Yahweh both contained leaven, which sweetened the bread. Our actions then, at the time of the Feast of Unleavened Bread, should be genuinely truthful. 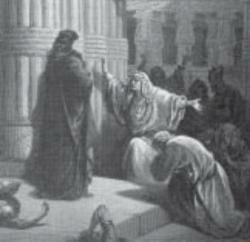 The Sabbath spoken of here is the Hebrew “Shabbath” and speaks of the weekly Sabbath. The harvest spoken of here is barley. This wave sheaf was not offered until the Israelites entry into the Promised Land and raised a crop as it was not possible for them to raise crops during their sojourn in the Wilderness of Zin after leaving Egypt. 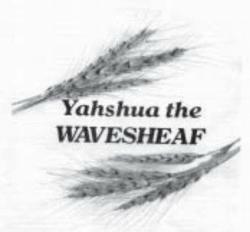 This wave sheaf offering was to be made on the day after the weekly Sabbath, on Sunday. The Feast of Firstfruits is also called the Feast of Weeks and the Feast of Harvest in the Old Testament, and Pentecost in the New Testament. The grain harvested at this time was wheat. The harvest spoken of in Lev. 23:10 is barley. This sheaf is often referred to as the first of the firstfruits. And thou shalt observe the feast of weeks, of the firstfruits of wheat harvest, and the feast ofingathering at the year’s end, Ex 34:22. Passover and the Feast of Unleavened Bread are not celebrated by the Christian world today. Instead, they celebrate Easter (read more), which has its pagan origins. The Christian world is more interested in Easter eggs, Easter bunnies and hot cross buns. Yahweh’s Word tells us to remember Yahshua’s death, not His resurrection. Without the sacrifice of Yahshua we would not have any hope for a future in the Kingdom. To be part of the coming Kingdom, Scriptures tell us that we are to be faithful to the end.